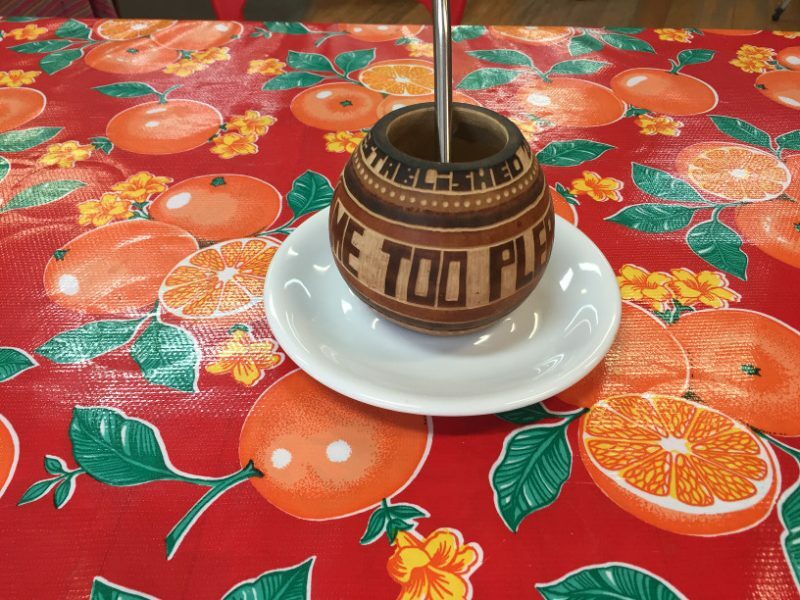 If you’ve lived or travelled in South America, you’ll already have warm memories of maté, the Argentinian tea famous for its refreshing, relaxing properties, as well as the ritual that surrounds it’s drinking. 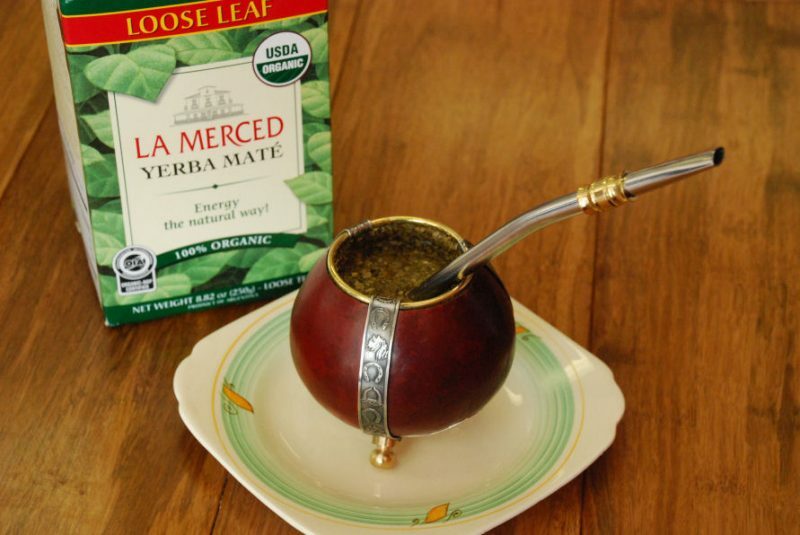 Made from the dried leaves of the yerba maté plant, maté is a caffeinated herbal tea considered by the indigenous South Americans to have medicinal properties. High in antioxidants and Vitamins C, B1 and B2, phosphorus, iron and calcium, it’s also drunk widely in Brazil and Uruguay. “There’s a lot of tradition that goes with drinking maté” says Troy. “For instance you HAVE to serve it in a mate gourd”. A mate gourd is a small round cup made traditionally from the shell of a dried pomegranate and lined with stainless steel. Gourds may also be ceramic, wood or leather. To make the tea, the dried maté leaves are placed in the gourd with a small amount of cool water before hot water – never boiling- is added. Then the liquid is drunk through a steel straw called a bombilla, which also acts as a sieve for the tea leaves. “To the Argentines, it’s sacrilege to stir the maté with the bombilla, it’s only there to drink through” explains Troy. “Also, traditionally the one gourd will be passed around and shared amongst a small group in a certain order”.